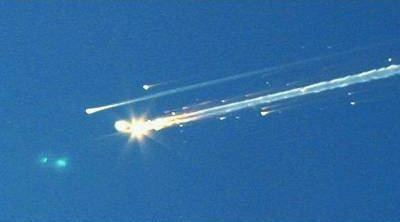 Space Shuttle Columbia disintegrates in the atmosphere on February 1, 2003. 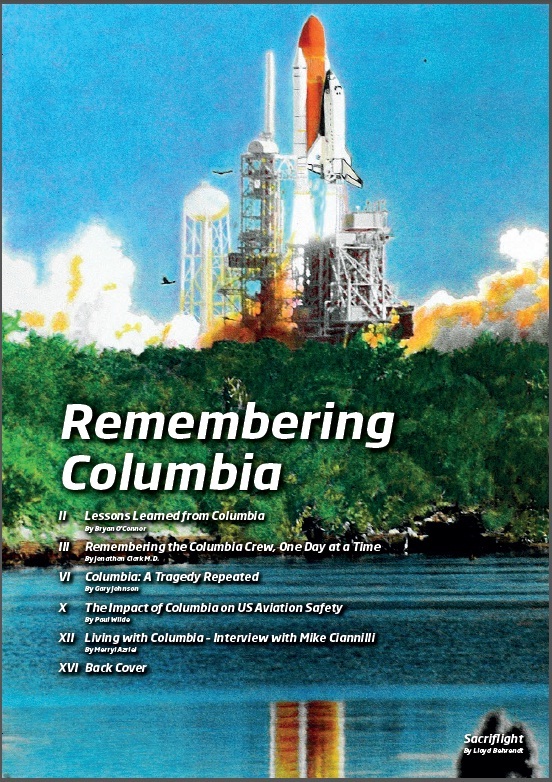 In the lead up to the tenth anniversary of the disintegration of Columbia and loss of all its crew on February 1, Space Safety Magazine spoke with someone who remains intimately connected with Columbia to this day. NASA’s Mike Ciannilli now serves as Project Manager of the Columbia Research and Preservation Office; on February 1, 2003, he was Columbia’s test project engineer. He spent much of the rest of that year hunting for remnants of STS-107. Looking back now, Ciannilli’s had time to absorb the events of that day and the analyses that followed. And he has some lessons for us all. “Make sure the decisions you make are really based on facts.” Ciannilli notes that the assessment of Columbia’s initial foam strike was based on outdated tools and inaccurate models – and on that basis was not considered a safety hazard. “Know that you’re testing with the right criteria,” Ciannilli says. “It’s really important to understand the true nature” of how the Columbia accident came to be, Ciannilli points out. “I saw a lot of great things after the accident being put into effect,” he said, but notes: “you just can’t forecast beyond where we stopped flying.” And that’s perhaps where the challenge lies in a post-Columbia world. Will NASA and other space organizations, agencies, and companies retain these lessons? Or are we doomed to repeat our tragedies every couple decades, when no one thinks to remember the last one? To read more from this interview including Ciannilli’s experiences from the debris search, check out the special report Remembering Columbia in the Winter Issue of Space Safety Magazine, available online January 25th.